Controlling your fermentation temperature is an important part of producing quality beer. Whether you need it warmer or colder, there is a variety of ways to achieve just the right temperature. No matter how you choose to go about it, you have to plan for it or your beer will suffer. Like many homebrew equipment purchases, you can either spend a lot of money for some cool toys that make it easy or get creative by finding things you already have that can be repurposed for brewing. My first attempt at repurposing was recommended to me by a brewer at the now famous Ballast Point Brewery. The simple trick he suggested was to put my fermenter into a 48-quart cooler full of water in the coolest part of my home. I used that method for about a year with great success. As it is with most brewers that stick with the hobby, I have since moved on to bigger and better toys for temp control, but the cooler was a good place to start. A friend of mine has a family coat closet right in the middle of the bottom floor of his home that maintains a steady 68-70°F, ideal for his fermentations. He did blow an airlock off on one occasion (resulting in a small dry cleaning bill and an angry wife), so be sure that the area you choose can withstand that type of calamity. I used this method for fermenting in a garage for about a year with great luck. Every time it would get hot, I would throw a couple frozen water bottles in each day and it kept my temps in the low 70’s. I could have kept it lower by adding more frozen bottles, but at that time in my brewing, I was targeting 72° as the primary fermentation temperature. You can also wrap your fermenter in a soaked cloth or towel and then direct a fan to blow on it, employing evaporative cooling. The Cool Brewing Bag is an innovative solution for temperature control that is very affordable and conveniently folds away for storage when not in use. The bag is a soft-sided cooler that is big enough for fermenting vessels up to 7 gallons. It is both insulated and waterproof, so it can contain any messy blowouts and be easily cleaned. A temperature controller can be used with varying devices to heat up or cool down your fermentation. While the temperature control units are under $100, the devices they are used with can be quite expensive. You can get very creative with the devices that you plug into these units to make them more convenient and affordable. Brewers have been repurposing chest freezers for use as keezers and fermentation chambers for years. A temperature controller can override the freezer’s thermostat to prevent the temperature from going below the set point. 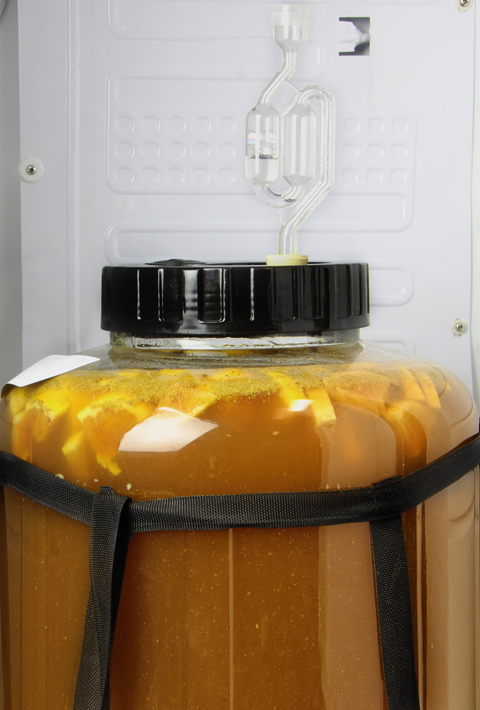 The relative affordability, availability, and heavy duty design make chest freezers a great option, but lifting full kegs and carboys in and out of them is not the most enjoyable experience. Refrigerators don’t have the same issue of lifting the keg or carboy over the side, so that’s a plus, but you may not be able to find a refrigerator with the necessary floor space. Many refrigerators have a step in the bottom that houses the compressor and limits the area that can be used for your equipment. Another thing to consider with a refrigerator is how cold it can get at the coldest setting. The temp controller regulates the amount of electricity getting to the appliance so it can keep a freezer from freezing, but it can’t make a refrigerator get colder than it’s max setting. In the rare occasion that you need to increase the temperature of your fermentation, you can use an electric heater with a temperature controller. A simple heating pad or electric blanket can do the job, but items like a Brewers Mat or the Brew Belt are built specifically for this purpose, so they work really well. Not many things are as important to the brewing process as fermentation temperature. Use these tools to lock down your brewing process so you can make good beer, consistently. Home Brewing Fermentation, Temperature. permalink. How Long Will Wine Keep After Opening? Could you please put a video up on how to make your beer in a 23 L keg? We up graded and need some help.